If you do something that changes the URL of your WordPress® site, you need to update the database with the new URL for your site to work properly. Changed the domain on the hosting account on which WordPress was installed? Moved the WordPress installation directory? In both of these cases you need to fix your installation by updating the WordPress database to point to the new location of your WordPress installation. Note: If you are thinking about moving your WordPress installation, but haven't done it yet, you should do it the correct way. For information, see Changing the Site URL in WordPress' codex. Note: Before following this procedure, we recommend backing up your database. For more information, see Backing up and Restoring MySQL or MSSQL Databases. Enter phpMyAdmin for the database you used for WordPress. For more information, see Log in to phpMyAdmin. Click the top menu on the left side, for example: blo11381542067. Go to the Browse tab. In the row containing the siteurl value, click Edit. In the option_value field, delete your old URL, enter your new URL, and then click Go. In row containing the home value, click Edit. After clicking Go, the database updates. Your site should resolve normally. If you installed WordPress with GoDaddy Hosting Connection®, the links in GoDaddy Hosting Connection still point to your old installation. 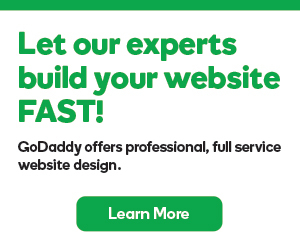 As long as you update the links in the database, however, you can continue to upgrade your WordPress installation through GoDaddy Hosting Connection. Cannot write images to the folder?